On the southern fringes of Rotterdam’s eclectic centre, deposited between train tracks and the River Maas, Stadion Feyenoord encapsulates many of its city’s nuances. Better known by its moniker De Kuip (The Tub), the stadium is all at once contemporary and primitive. Traditionally, each year sees De Kuip host the Dutch Cup final. 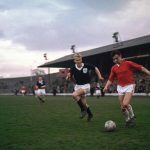 As is often the case with cup finals, heroes are formed and coincidences of history can be stirred. For a frantically busy and relatively unknown FC Utrecht striker, the 2003 final proved both a fitting finale and a grand introduction. Facing Feyenoord in their own stadium, Utrecht went into the fixture as overwhelming underdogs. Having finished 32 points ahead and beaten them twice during the season, Feyenoord were firm favourites. Yet with the unyielding work ethic, energy and persistence of Dirk Kuyt in your front line, anything is possible. Kuyt capped a man of the match performance with his side’s fourth goal in a formidable 4-1 win. In providing bittersweet emotions for both sets of fans, Kuyt was confirmed as the Dutch Football of the Year, and completed a €1 million transfer from FC Utrecht to Feyenoord just days after the final. By the time the 2016-17 campaign begins, Kuyt will have celebrated his 36th birthday. Having established cult-hero status in Rotterdam, Liverpool and Istanbul, Dirk Kuyt is back in Feyenoord colours, and remarkably, joyfully, and almost inevitably, is still very much King of De Kuip. Rotterdam can be a difficult city to pigeon-hole. De Kuip exists as something of a paradox, standing as both an apathetic tribute to values past, and a shining mecca for modern football. In coexisting as a blurred and fluent skew of then and now, the city of Rotterdam is much the same. The city experienced something close to obliteration during World War Two, so there aren’t too many physical tributes to bygone eras. However, Rotterdammers depict many a traditional value in their direct and hard-working attitudes. Today’s seemingly constant redevelopment, rejuvenation and renovation stands as a testament to those attitudes, and the ever-evolving city they’re home to. Even the heavy and stoically flowing waters of the Maas add to life’s essence of motion. Europe’s largest shipping port sprawls and lends a substantial air of industry. As a backdrop to all this motion and commotion, or perhaps as a result of it, Rotterdam is a decidedly unfussy city. If Dirk Kuyt was a city, he’d be Rotterdam. Born in Katwijk aan Zee, a modest Dutch fishing town 43 kilometres north of Rotterdam, Kuyt’s beginnings were humble though comfortable. Having joined his local club, Quick Boys, at the age of five, he flashed more than a glimpse of the loyalty to come in remaining until his 18th year. It took just a handful of games in the Hoofdklaase for Kuyt to come to the attention of FC Utrecht scouts, and just a couple of pre-season friendlies for Kuyt to cement his place in Utrecht’s starting 11. The 1998/99 season was Kuyt’s first in the Eredivisie, and he registered six goals from the wing. Evidencing a wonderful attitude to hard work, and the fruits to be beared from it, Kuyt responded positively when Foeke Booy turned him into a striker in 2002. Dividends amounted to a 23-goal season, and catching the eye of one of the Netherlands’ big three – Ajax, PSV and Feyenoord – in the process. After his five seasons with FC Utrecht, Rotterdam’s industrious existence provided a suitable home. It also proved a mirror for Kuyt’s tireless endeavour. Appreciation and adoration from Feyenoord fans came in abundance, as did the goals from a converted winger. Kuyt’s debut season with Feyenoord, in 2003/04, yielded a 24-goal haul and a third-place Eredivisie finish. The next season ended with Kuyt as the league’s top scorer with 29 goals. He had also established himself in the national team. At a time when the Eredivisie wasn’t as weak as some would have you believe, the energy and strike-rate of Kuyt and Salomon Kalou was genuinely impressive. Spanning his time with both Utrecht and Feyenoord, Kuyt made a record 179 consecutive appearances between March 2001 and April 2006. Remarkably, throughout his eight seasons in the Eredivisie, Kuyt only missed five games – an early testament to his strength, attitude and unwavering desire to serve his team to the best of his ability. Having aroused the interest of a few Premier League clubs, most notably Liverpool and Newcastle United, Kuyt somewhat reluctantly stated he’d only leave Feyenoord for “a really big club”. A short matter of weeks later, with Feyenoord unable to breach the Eredivisie dominance of Ajax and PSV, Kuyt signed for Liverpool in June 2006. Despite fame and fortune as a modern footballer, Kuyt has effortlessly carried that air of dignity into his own family life. Gertrude, his wife, continued to work as a care home nurse until their daughter was born, and he personally ensured that Quick Boys, his first club in Katwijk, received a significant windfall from his Anfield transfer. On 6 March 2011, Anfield found itself lavished by spring’s early sunshine, and the blissful reality of Manchester United being made to look average. If there were any lingering doubts over Kuyt the footballer, they were vanquished. That afternoon, Dirk Kuyt did something that only four Liverpool players in history have managed and which hadn’t been done since 1990. He scored a hat-trick against their north-west rivals. With a typical blend of penalty-box bravery, prowess and power, Kuyt prodded, hammered, and headed three close-range finishes to secure a 3-1 Anfield win. During a season which saw Roy Hodgson’s ill-fated reign and Kenny Dalglish attempt to pick up the pieces, Kuyt’s hat-trick provided a rare moment of unwavering cheer. In truth, Kuyt was a bonafide Anfield cult hero long before that hat-trick. Signed by Rafa Benítez in 2006, the Dutchman’s impact was immediate. An attacking player with such willingness for defensive work was something of a new concept in the Premier League, yet Kuyt’s application was more than sheer desire. In defending from the front and tracking back, Kuyt evidenced intelligent decision-making and astute awareness of the bigger tactical picture. Jürgen Klopp would surely love a 26-year-old Dirk Kuyt in Liverpool’s current squad. Combining intelligent football with his impressive work-rate and flawless attitude was always going to reap rewards. Kuyt’s 2006/07 debut season for Liverpool was nearly capped with the biggest reward in club football. Played mostly as a striker, Kuyt registered 12 goals and was instrumental as Liverpool made their way to a second Champions League final in three years. He scored Liverpool’s consolation as Milan avenged their 2005 defeat, and quickly earned a reputation as a big game player. His knack for producing a match-winning goal or performance became uncanny. As Liverpool forged an often spectacular path to the 2008/09 Premier League runners-up spot, fuelled in part by Fernando Torres, Kuyt was deployed more often as a winger. His influence, however, remained critical. It was Kuyt who ensured Liverpool’s path into the memorable 2008/09 Champions League campaign. Without his extra-time goal in the third qualifying round at Standard Liège, there would have been no historical rout of Real Madrid or the outrageous 5-7 aggregate defeat to Chelsea in the quarter-finals. From the January transfer window tremors of 2010 to Liverpool’s ownership wranglings, Dirk Kuyt proved an influence of calm stability during his final two seasons at Anfield. His was a trusted and reliable island in a sea of American owners, Suárez vs. Evra, and a tumultuous Premier League season. The 2012 League Cup provided Kuyt with a fitting finale and the only winners medal of his six-year Liverpool career. Inevitably, Kuyt could be relied upon to convert his shoot-out penalty having already scored in extra-time. Despite the lack of medals, Kuyt’s personal contributions were substantial: 286 games and 71 goals in all competitions, and only Ian Rush and Steven Gerrard have scored more European Cup goals in a Liverpool shirt. Only Robbie Fowler, Gerrard, Michael Owen, Luis Suárez, and Fernando Torres have scored more Premier League goals in a Liverpool shirt. On 3 June 2012, with Liverpool ready to welcome Brendan Rodgers to the dugout, Fenerbahçe triggered Kuyt’s €1m contract release clause, and one of Liverpool’s favourite sons was on his way. In kicking off his Turkish Süper Lig career as a 32-year-old, one could have been forgiven for thinking Kuyt might begin to slow down. Yet casting his eyes to the 2014 World Cup with the Netherlands, Kuyt’s application and dedication only improved. 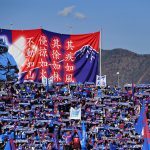 After all, he had a whole new city and supporters to win over. True to form, Kuyt missed only a handful of games throughout his three-year spell in Istanbul, and collected a Turkish Cup winners medal in his debut season. Somewhat staggeringly, it was just his third major career trophy. The 2013/14 season saw that collection grow to include a Süper Lig champions medal and the Turkish Super Cup. Needless to say, in an environment where many European footballer has pitched up for adventures and pay-cheques, Kuyt became an instant hero for his attitude and application. 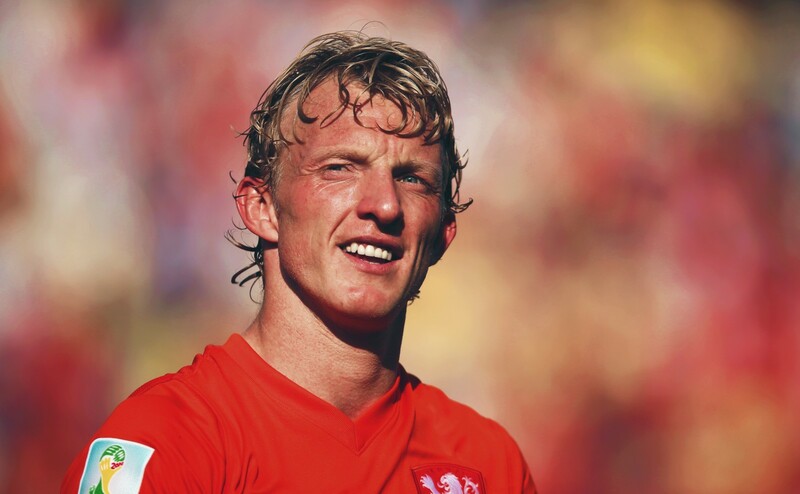 Dirk Kuyt is a rare breed of Dutch footballer. In terms of international goals and appearances he both matches and surpasses many legendary names. However, Kuyt’s attitude and application is where his star shines brightest. With Kuyt there is no selfish streak, no easily bruised ego, no in-fighting or attitude. As Marco van Basten heralded a new dawn for the Dutch national team in the summer of 2004, Dirk Kuyt was an obvious beneficiary. In attack, he effectively closed the door to established players such as Patrick Kluivert and Roy Makaay. Following a 20-goal first season with Feyenoord, Kuyt made his Oranje debut in September 2004. He became a fixture in an instant and missed just one game as the Dutch qualified for the 2006 World Cup. However, as Van Basten struggled to find the best fit for an array of attacking options, Kuyt started just two games as the Netherlands were eliminated by Portugal in the second round. In a match notable and memorable for its disciplinary record, Kuyt was one of only a few players not booked or sent off. Having switched positions for Euro 2008, Kuyt and the Netherlands made an impressive start to the tournament. Adjusting to life on the wing, Kuyt scored once and laid on four assists as the Netherlands won all three group matches. Regrettably, Dutch form and fortune petered out as Russia orchestrated a 3-1 quarter-final win. The reign of Marco van Basten was over. Under Bert van Marwijk, Kuyt remained one of the first names on the team sheet. Dependent upon the injury and availability of others, he’d play as a striker or winger, or, on occasion, behind the strikers. The Netherlands qualified for the 2010 World Cup at a canter as Kuyt started all seven of their games during their impressive run through the tournament. The final against Spain may have been touted as “football versus anti-football” by Johan Cruyff, but again Kuyt’s personal application could never stand for criticism. Despite being a regular starter for Oranje in Euro 2012 qualifying, minor injuries and major re-thinking from Van Marwijk saw Kuyt lose his starting berth. Arjen Robben and Ibrahim Afellay were preferred on the wings as the Netherlands lost all three group games. Van Marwijk resigned shortly after. Under Louis van Gaal, who replaced Van Marwijk in June 2012, a lesser player than Kuyt may have rebelled or even walked away from the international arena. Despite being named as vice-captain, Kuyt featured sporadically under Van Gaal. When he did feature, he was often utilised in several different positions throughout a game. Naturally, Kuyt respected orders and applied himself as only Kuyt can. En route to a remarkable third place at the 2014 World Cup, Kuyt started most matches at wing-back but was often shifted further forward as Van Gaal continued to change system during games. Kuyt’s 104th and final international cap came in the third-place playoff against Brazil. It ranks Kuyt as sixth in the all-time Dutch appearances list. Despite being a proven performer on the international stage, a veteran of three World Cups, and a cult hero wherever he’s played, Kuyt remains something of a footnote beyond the confines of Merseyside and Rotterdam, and this is a great shame. In the summer of 2015, Kuyt chose a homecoming over more lucrative offers. His return to Feyenoord, now managed by ex-team-mate Giovanni van Bronckhorst, placed him back in the spotlight of his homeland. As one might expect, he hasn’t disappointed. At 35, Kuyt more than proved his worth. During a campaign where Feyenoord lost a club record seven consecutive Eredivisie games from December through February, Kuyt was instrumental in a rallying recovery. Following a Valentine’s Day defeat at PEC Zwolle, Feyenoord remained unbeaten until the end of the season, which culminated with the Dutch Cup final. In one of those remarkable repetitions of history, FC Utrecht and Feyenoord contested the KNVB Cup final at De Kuip once again on 24 April 2016. In bringing the curtain down on his first season back at Feyenoord, Kuyt was influential and laid on an assist for his team’s first goal in a 2-1 victory. Having signed a one-year deal with Feyenoord, the final represented a fitting ending to Kuyt’s Rotterdam renaissance. Though to think Kuyt would walk away while there remains fuel to burn would be a gross underestimation. Where there is Dirk Kuyt, there is a charming selflessness. There is also work to be done, energy to be channelled and, despite his retirement, there is more to come from the King of De Kuip.